What’s the Best Way to Budget with Irregular Income? Budgeting is one of the most important aspects of organizing our lives. But, far too few people ever truly stick to a budget long-term. Why’s that? Because budgeting seems too difficult or boring to pay close attention to. Many of us would prefer to “set it and forget it” and hope you come close to your projected income and expenses for a given month. Unfortunately, attention to detail is crucial when it comes to budgeting. That’s because irregular expenses and income can mess up your calculations pretty quickly if you’re not paying attention. Even if you enjoy crunching numbers, irregular expenses like semiannual insurance payments or annual publication subscriptions can make budgeting quite complicated. If you’ve been following a monthly budget but you need a better way to incorporate irregular or fluctuating expenses into your future projections, then here are some ways to seamlessly integrate intermittent expenses into your regular budget. A lot of people have irregular income. Waiters, freelancers, independent contractors, Uber and Lyft drivers, and a host of other people find their incomes vary from month to month. Variable or irregular income can make it a challenge to budget. How do you know how much money you can spend every month if your income level keeps changing? There are the best ways to budget with irregular income. Below are some tips to help you learn how to set up and keep your budget when your income varies each month. The best way to budget when you have an irregular income is to budget based on the worst month that you’ve had recently. Look at your income for the past 12 months. What was the least amount of money that you earned in a month last year? If you earned $3,000 from income in your worst month and $5,000 from your best month, don’t base your monthly on your $5,000 month. Plan your spending pattern around $3,000 a month. Next year, as you continue to earn more income, reevaluate your budget on the new figures. If you have an irregular income, you should create a monthly written budget just like everyone else. You should write down all of your income no matter the source. Be sure to capture all of the cash payments that you earned. Next, you need to list all of your expenses. You should continue to work through each expense that you have earmarking every dollar for your expenses. Like Dave Ramsey says, every dollar that you earn needs to have a name. You need to allocate every dollar of income in your budget for an expense whether it’s to pay the rent or even to add to your emergency fund. Don’t forget to budget to pay yourself first for retirement accounts, emergency funds, and health insurance costs. You should very judiciously add money to your entertainment categories with a portion of the money that you have left over. You should consider increasing your savings and emergency fund, build up your fully funded emergency fund, and save for retirement with any extra income you earned above your worst-case scenario, lowest income month that you used as your income baseline in your budget. Continue tracking your spending throughout the month and continuously reevaluate your budget. Did you estimate a budget category wrong for this month? How are you capturing annual expenses like Christmas gifts? You can use budgeting templates to help you set up your budget. If you struggle to set up a budget, you may find that a 90-day budget works better for you. Just like creating a regular monthly written budget, a 90-day budget lumps all of your income and expenses into a three-month time span. Complete all of the same calculations that you would for a traditional budget. But, look at longer time horizon when adding your income and expenses. You must be more diligent when using method though and track your actual expenses closely. Like a business, you need to know your breakeven point when you have irregular income. How much money do you need to earn each and every month to pay for your fixed expenses like your rent, utilities, insurance, and other expenses? There are a few expenses that may suffer if you have a bad month as a freelancer or independent contractor. What categories from your budget do you exclude in your breakeven calculations? If you didn’t earn enough money this month, you may need to forgo adding to your retirement funds, eating out at restaurants, and spending on entertainment. You would not include those categories of your budget in your breakeven calculation. You will have an income mark on the wall when you know your breakeven point. You’ll know exactly what you need to earn to pay the rent and other bills, and it will be a great motivator for you. Knowing your breakeven point is a great way to set your income goals. How much do you need to make each month to cover all of your non-negotiable expenses? Don’t forget to add a buffer to all of your expenses in your budget. There are many expenses that you may only know a ballpark figure for. How much money are you going to set aside every month in your budget for car maintenance, for example? What has been your historic trend in car maintenance spending over the past year? You should budget based on your worst month last year. But, what do you do with the month left over in your budget when you have an incredible month with more income? You should increase your retirement contributions and add to your emergency fund with the extra income from a great month. The rule of thumb is to have six to 12 months of living expenses set aside in a fully funded emergency fund. But, that’s not the case for those with an irregular income. You need more. Workers with an irregular income should consider saving 12 months of living expenses, your breakeven point, at a minimum. You need to have a large cushion to protect yourself and your family for the lean months that are sure to be right around the next corner. Don’t forget to have fun too. You may want to take a small portion of your extra income and increase your entertainment category of your budget just a little bit for that month. Treat yourself. You earned it! Whether or not you have a choice over how often you make irregular payments, you still need to develop effective budgeting strategies to ensure you don’t break the bank during a particularly expense-heavy month. You don’t need to be good at math or have expensive budgeting software to do all the work for you. Just create a list of all your anticipated expenses between January and December, then divide that figure by 12. Even if a majority of your expenses and bills are paid for in April and October, for example, you’ll know how much money to set aside every month to ensure your expenses are accounted for. Do you know the difference between an emergency savings fund and a miscellaneous fund? The former is dedicated to completely unexpected expenses (e.g., the family cat needs leg surgery or your child shatters one of their permanent teeth during a sports game accident). Meanwhile, the “Misc.” fund should be much more accessible because you’re diverting money into it for the purpose of paying off expected bills and expenses coming in the near future. Without a “Misc.” fund, you’ll either go over budget for one month or have to siphon money from your emergency savings to pay for irregular expenses. This isn’t the end of the world, but your emergency savings fund should not be treated like any old savings account. It’s for emergencies only! This may seem obvious, but all too often, people save exactly how much they think they’ll need without remembering that some costs can skyrocket over time. Even if you’re on a limited income, you can start saving and get ahead by overestimating how much money you’ll need. For instance, if you typically pay between $350-$400 for your semiannual auto insurance payment, then aim to save $900 or even $1,000 instead. This way, you won’t have to panic if you get in an accident and your premiums go up. You don’t want to dip into your emergency savings fund for an expense you were expecting, so saving a little more than you think you need can help you stay on track without blowing your budget. Monthly payments may be more convenient when it comes to planning out your budget. But, you can save quite a bit of money by opting for three, six, or 12-month payment plans instead. From gym memberships and newspaper subscriptions to auto or life insurance, companies tend to charge consumers discounted prices for payments made in advance. If there is a discount for paying for a service semiannually or annually and you can afford this upfront expense, then sacrificing convenience for monetary savings is likely worth it. Once you are more established, you can look at simply paying yourself a salary even as a freelancer or independent contractor with irregular income. If you have a nest egg build up, you can set up yourself on a payroll, a set bi-weekly paycheck just like an employee to help you budget easier. You could also set up a separate checking account just for your living expenses when you have a large enough nest egg. Your account could have one year’s worth of expenses in it, and you could pay yourself a monthly salary from it. I personally use pen and paper or even an Excel spreadsheet to manage my family’s budget. But, there are a lot of great budgeting tools and smartphone apps that can help you budget. You may want to consider using the free apps and services provided by companies like Personal Capital , Mint, You Need A Budget, or even your bank. Many banks now include a budgeting feature on their website and smartphone apps. 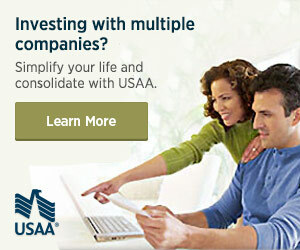 I love using the budgeting tool through my bank, USAA. Don’t make excuses just because you have an irregular income. You need a budget, and you have to take special care to ensure that you stay on track. It is already nerve-wracking enough not knowing how much your next paycheck will be. Having a solid budget and fully funded emergency fund can help you get through the lean times. If you’re choosing a career whereby earnings can vary drastically from month to month, you need to be sure that you are truly up for the challenge – both emotionally and financially. First, determine whether you think you are truly capable of coping with the potential stress of uncertainty and whether you are prepared to be as adaptive and flexible as will be required. Calculate your most basic living costs to be sure that you can comfortably cover your monthly essentials on your minimum possible income. Secondly, do your research on what it is really like to be self-employed – can you adapt to the lifestyle? Part of being ready for a job with an irregular income is having a safety net. Do you have a support network that you can fall back upon, should you ever go through a period of financial struggle? A support network can be anything from backup savings, to a partner who is willing to financially support you while you get on your feet. Whatever your network of support, you will be better for having one when you are going through a period of income uncertainty. This kind of support is equally important for your emotional health. Having someone in your life who can motivate and inspire you will make your lifestyle transition easier. It’s tempting when finally receiving a fat cheque after a dry spell, to go on a spending spree – such as professional gamblers are notorious for doing. Instead of practicing responsible finance and putting aside winnings for the potentiality of future financial hardships, gamblers have a reputation of blowing their earnings in a small amount of time only to find themselves back where they started. Professional poker players who prevail within the industry are those who have a good hand of their bankroll management and resist the temptation to spend all winnings at once. Whenever you earn or win money – always consider how much of it you can put aside as savings. Ultimately, it never harms to play it safe. While throwing yourself into the unknown might seem like the best way to adapt as quickly as possible, don’t discard the possibility of taking up a weekend job in the early days of your transition into commission-based earnings. A supplementary income with a side income or side hustle, however small, will go a long way in easing the mind. Of course, the downside is that it results in an extra workload and might deduct time you would otherwise spend on focusing your real career goals. Now that we’ve considered the support network you can establish before embarking on a freelance, commission- or performance-based salary, it’s time to look at how we can minimize the likelihood of ever having to fall back on that safety net. Do your research! Be up-to-date on your industry’s trends, employment laws along with the average earnings of people in your field. Are you charging a reasonable rate for your services? Should you negotiate a basic income on top of your performance-based bonus? What are other people in your field earning? Be business-savvy, and don’t let clients or employers take advantage of you! Personalized and detailed budgeting templates will help you track your income and control your spending. Smart budgeting and general organization are key to reducing stress on an irregular income. Record-keeping will also help you detect trends and patterns in your income over a longer period of time. Does your income consistency dip at certain points in the year? How can you counter-balance this? Which months are most lucrative and why? Closely related to knowing your worth is knowing what to expect – both of yourself and of your employers. Set realistic goals for yourself so that you can continuously work toward – don’t settle for what is merely ‘comfortable’. Instead, utilize all your spare time in figuring out how to improve your performance, manage time more efficiently, build a bigger client base, increase your income and advance your career. Where do you want to be one year from now? What about five years? Having ambitious yet realistic goals will help you avoid hitting a stand-still, where you are unable to progress. This is especially important when you run the risk of focusing solely on achieving a set income, and not enough on actual skills progression. It can take a long time to stabilize an irregular income – depending on your work, you might never be able to depend on a definite weekly or monthly revenue. On top of that – it can take just as long to get used to being your own boss. For many people, the freedom of flexibility offered by self-employment is well worth the initial struggle, so don’t get unmotivated by the challenges along the way. Building a client base from scratch, or learning how to consistently reach performance-based goals, can take time. A clear plan, careful budgeting, and optimistic attitude will go a long way in helping you achieve your dreams of self-employment. It’s not easy trying to account for irregular expenses, especially if you’re dealing with an irregular income as well. Even if you’re living below your means on a fixed budget, it can be quite a challenge to come up with a few extra hundred or even thousands of dollars in the span of a month or two. That’s why saving for upcoming expenses is so important. As long as you opt for the cheapest payment options available and allocate a set amount of money each month into your “Misc.” fund to pay the bills later, then your financial stability should remain a non-issue when irregular bills and payments crop up sporadically throughout the year. What about you? What is the best way to budget for you if you earn an irregular income? Should You Use Dividends For Income Replacement In Retirement? Do you have a money question that you would like to ask? Email me your money, investing, retirement, savings, or other question to Questions [at] MoneyQandA.com.